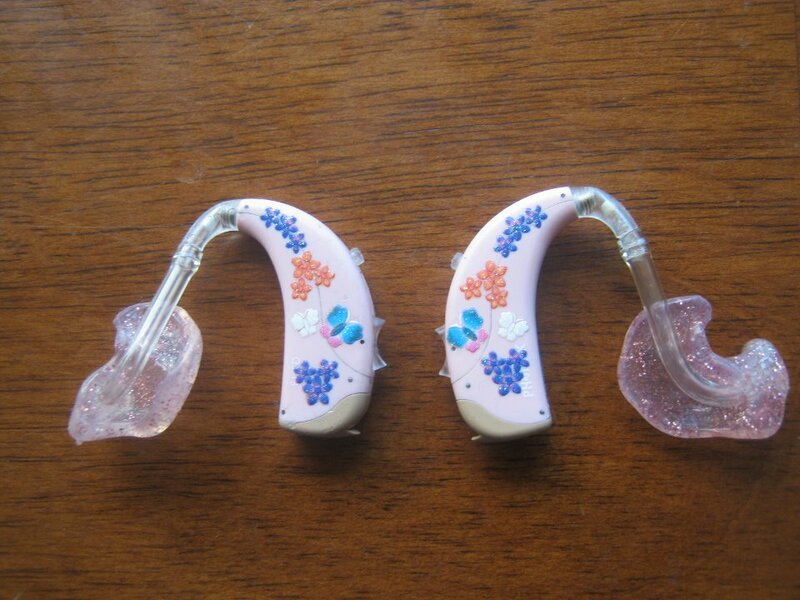 This is a -much- longer copy of an article posted on the Limping Chicken website today, its an update to my previous post "Adult Audiology"...I wanted to post it on here as well so that I could showcase everyone's pictures and comments! 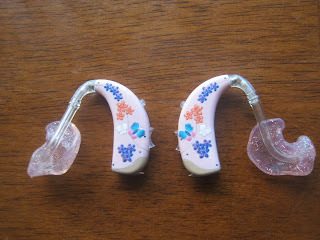 Back in April I wrote a post entitled “Pimping My Hearing Aids” which was all about my adventures into adult audiology services and how disappointed I was that I was no longer allowed to have the colourful hearing aids I love. 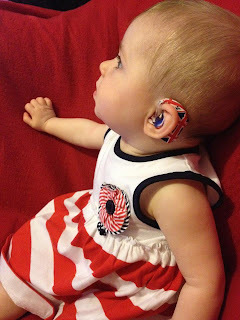 With some inspiration from one of the “NDCS Mums” on Facebook I went out and bought myself some red and white polka dot nail foil stickers and set about decorating my hearing aids. At the time I uploaded pictures to Facebook, Twitter and to my own blog alongside the same piece of writing that featured on here. The response was pretty impressive! 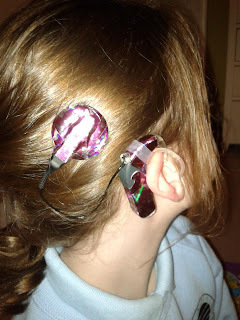 Lots of parents, teenagers and audiologists commented on the blog post and pictures saying how cool the hearing aids looked and how they thought it was a good idea. Two months on and I’m proud to say that I feel as if I’ve been part of a new trend in hearing aid design with new looks ranging from simple flowery stickers on already coloured aids and colourful ear-gear to full out jubilee decoration with frequent changes of design to match different outfits. I’m also pleased to say that the decoration craze has now spread beyond “pimping your hearing aids” and into “jazzing up your CIs (cochlear implants)”. 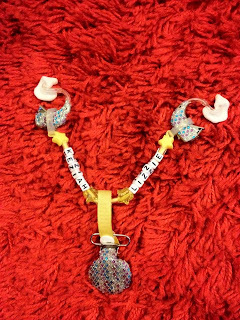 Designs involve not only decoration of processors but also the addition of stickers or hair clips to the coil. Although all this decoration is great fun there is a more serious note to this new craze. I asked parents and teenagers to explain to me why they thought “pimping their hearing aids/implants” was important either for themselves or for their child. 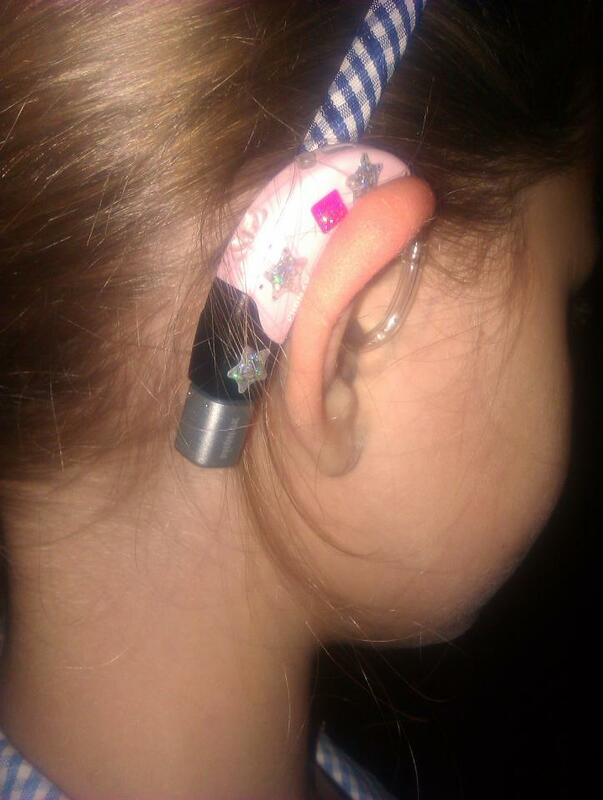 Gabi (aged 12) told me that having hearing aids that were pink (her favourite colour) made her more likely to wear them than if they were plain and boring. 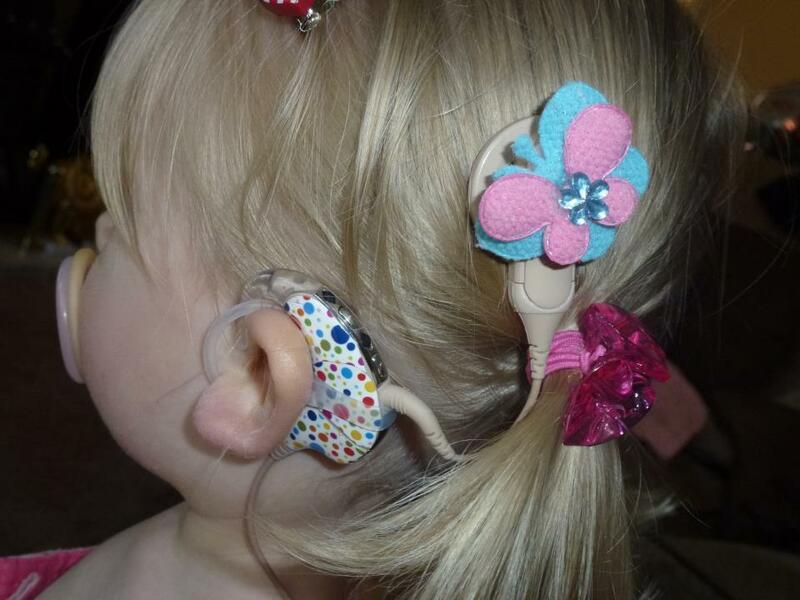 One proud mum told me that she first “pimped” her daughter’s hearing aids while they were waiting for colourful ones from audiology. She told me about her memories of having NHS plastic glasses and how embarrassed she was. She wants her daughter to grow up to be “proud of her awesome magic ears”! 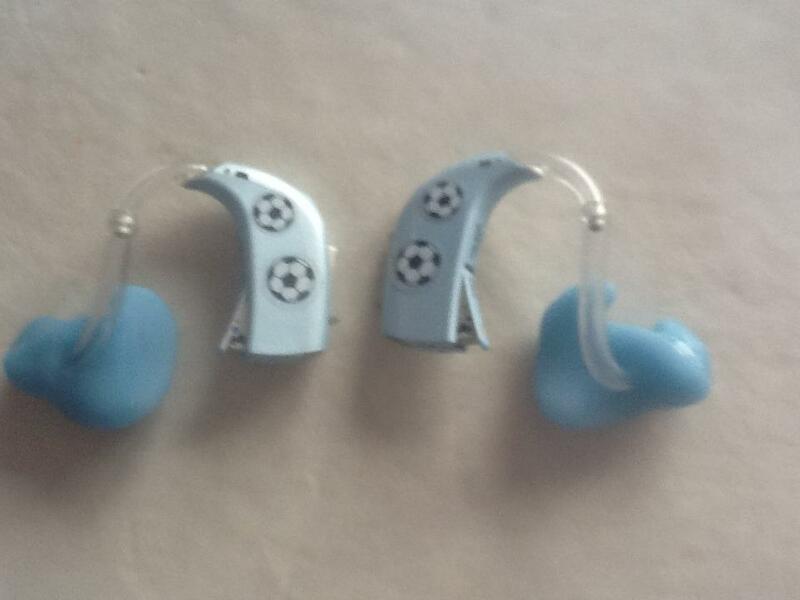 “as a young person with hearing difficulties it can be embarrassing to accept that we’re different, having equipment which we can influence the design of will make us feel more comfortable and we more likely to wear hearing aids”. I’ve also been told that being able to match or compliment your outfit with your hearing aids as well as your hair/make up is very cool! So - listen up audiology services, hearing aid manufacturers and anybody wanting to start a business that could well make them some money! Many cochlear implants now-a-days come with “sleeves” which can be changed to give different coloured processers depending on the mood. 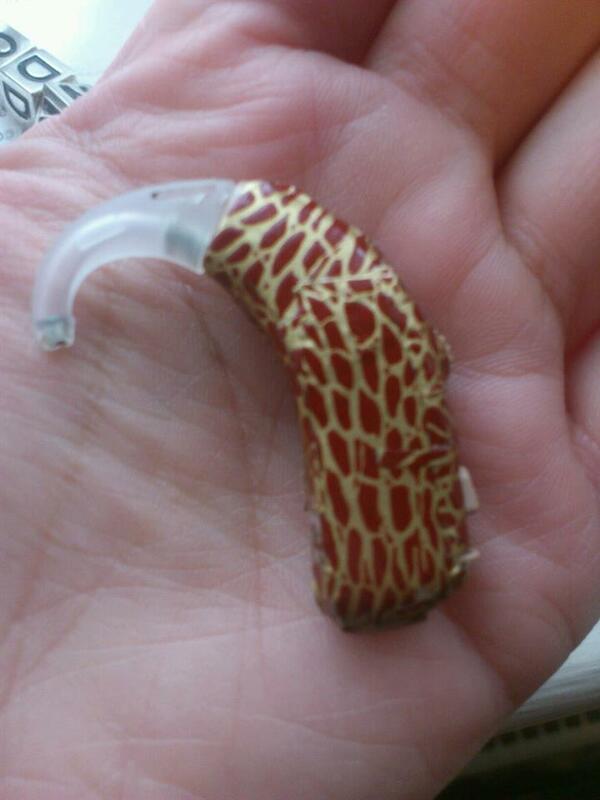 Where are our hearing aid sleeves? Or if “sleeves” are impractical I can see a rather large market out there for hearing aid and CI sized/shaped foil stickers!! Maybe I should apply to be on Dragon’s Den..? I’m I did promise people that I would showcase all of the “pimped designs”! 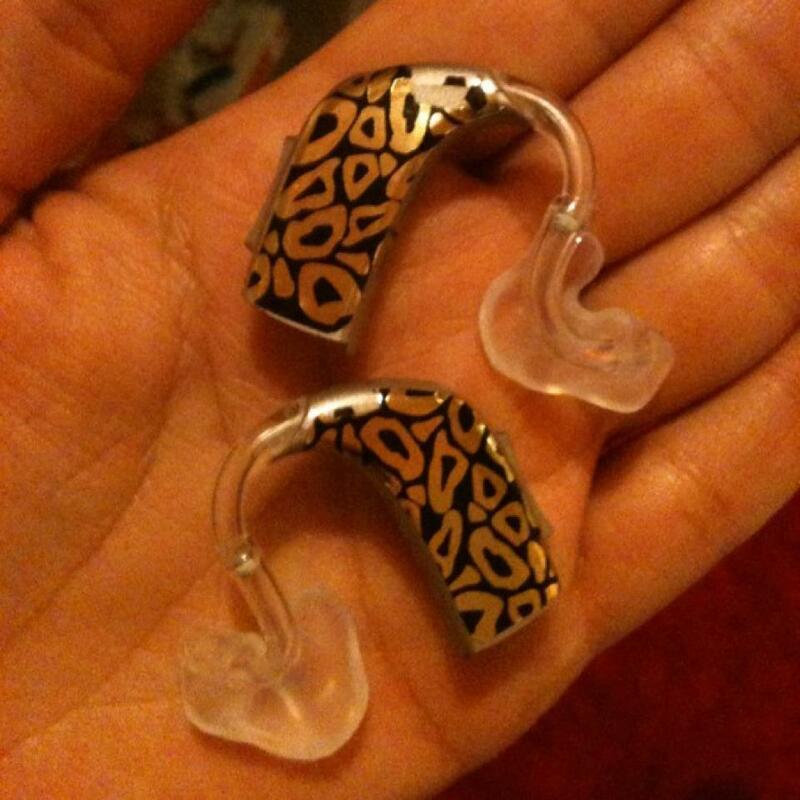 So below is a gallery of the coolest hearing aids and CIs in town! 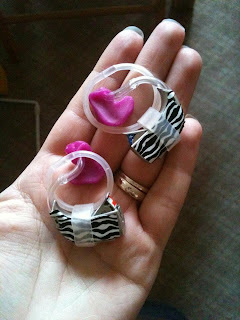 If you're interested click HERE to go to the Ear Gear website - a very cool and funky way to decorate your hearing aids as well as keeping them safe from dirt, water etc! 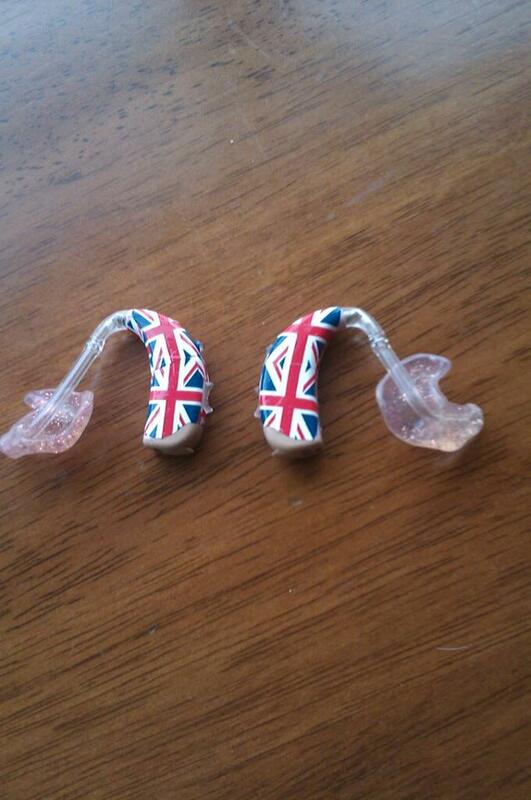 Here is a picture of Gabi's Hearing Aids, she loves choosing the colour of her moulds! For a whole gallery, please see our world-famous Stupid CI Tricks photo gallery. Awesome! I want some of those - definitely the leopard skins! theyre all very cool :) and I like Gabi's aids Sarah!! A group of people have since this post was written set up a facebook group to do with decorating hearing aids! here is the link if you want to join! Tinnitus is the type of ear problem that can be from birth or with time, its treatment depends on its causes. It is the collection of disorders which is caused by various reasons. I am very delighted to reading after this blog. It has great contents which is informative and useful same time. Where do you get the stuff to do all this pimping to your aids? 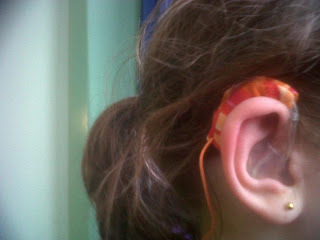 also, if im going on an activity weekend or climbing or doing sports i like to use ear gear (type into google and click on the connevans link) theyre a bit expensive but last forever and you can take them on and off as many times as you want. they also protect aids/implants/BAHAs from wet weather etc. 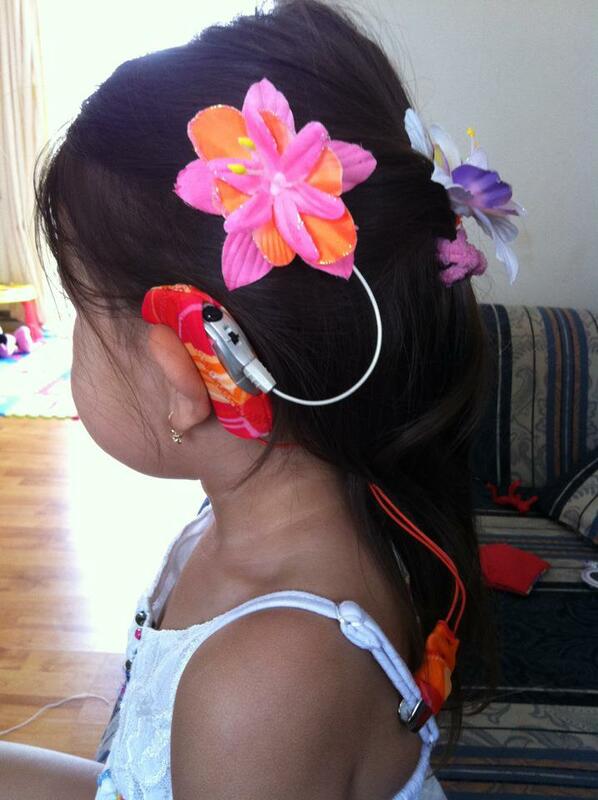 There are very few hearing losses that cannot be helped with modern technology. The most effective treatment is achieved through early intervention. Early diagnosis, early fitting of hearing aids, and an early start on special education programs can help maximize a child's hearing. Pimp my HAs and CIs new blog! Hello :) my name's Ni and proud to be a deaf young person, I like to think this means I have a little insight into the way the world looks to other deaf young people and I quite enjoy having a good, meaningful rant on their behalf... I run the Worcestershire Deaf Youth Group - "Deafinity" and I Was a member of the NDCS Youth Advisory Board, now I'm an NDCS Young Facilitator. I'm also on vInspireds Team V 2012. However please note that my own views are not necessarily those of NDCS. Comments on "The R Word" by Emily Howlett. Cyber Bullying... It affects deaf kids too! MobileSign - the free BSL app for phones..